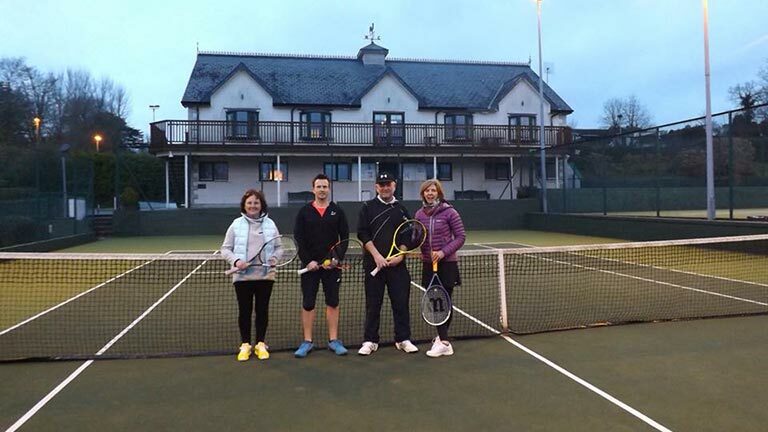 Rushbrooke Lawn Tennis and Croquet Club has 9 all-weather floodlit omni courts and 2 grass courts. 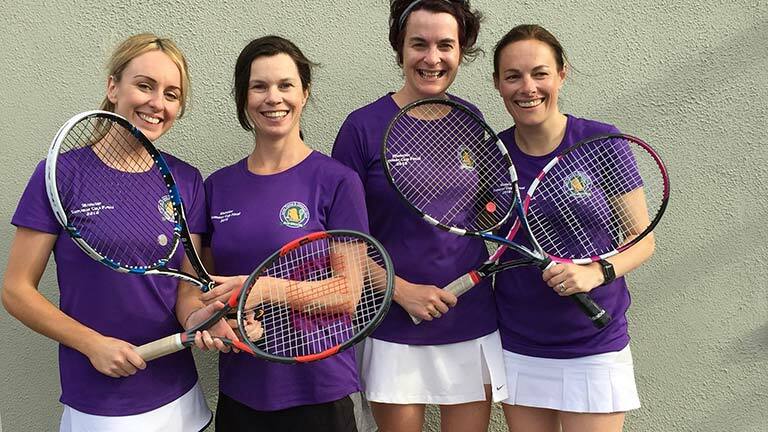 This is a very active tennis club with events for Senior and Junior tennis. 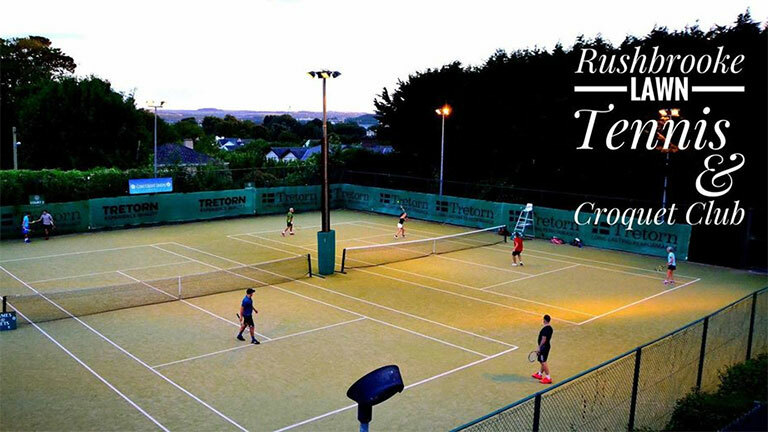 Whether you are new to tennis or a seasoned player, the Club welcomes you to Rushbrooke tennis. For any new members, please contact the club to arrange an introduction and tour of the club and facilities and to set up games. Check out the website for an update on events. Social tennis takes place most Friday nights. It is a great way to meet new and existing members. Whether you are playing for the first time or returning to tennis after a break, there will be players of all standards to suit. 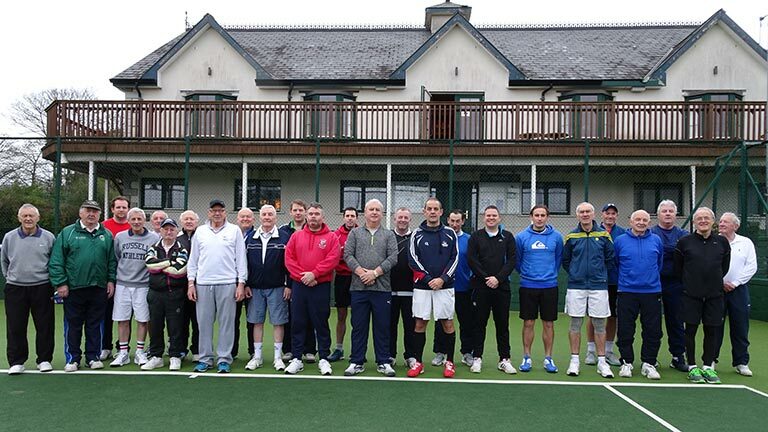 Rushbrooke LTCC hosts two senior open tournaments and a veterans tournament each year. The Club hosts many internal tournaments throughout the year. There are various leagues, tennis ladders and internal competitions. Winter league, spring league and summer cup teams represent the club each year. One of the biggest competitions held is “the Tribes” which runs over 8 weeks. The majority of members get involved. It is a great way to get to know people and improve one’s tennis. Various events occur over the year with an awards night annually to finish the event season. Junior tennis is very popular with lots of events happening to suit all ages. There are weekly coaching sessions, regular match play and lots of fun events for the junior members. Regular pizza evenings, table quizzes and sports days take place over the year. RLTCC hosts a grade one open tournament and a close tournament for junior club members annually. 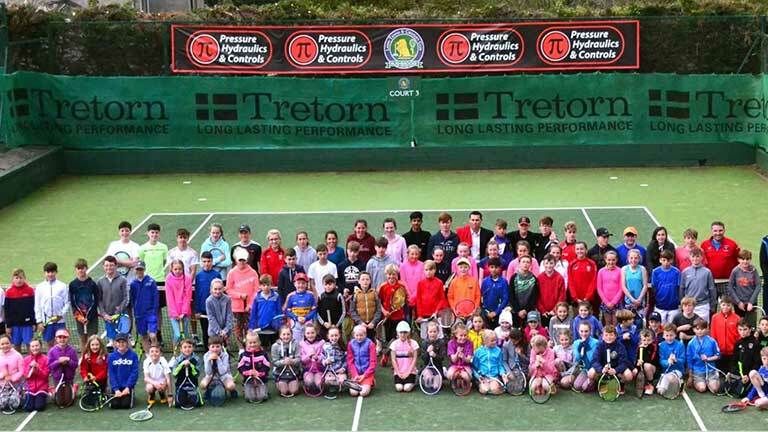 Easter and summer camps take place giving juniors a great chance to play tennis and be active. 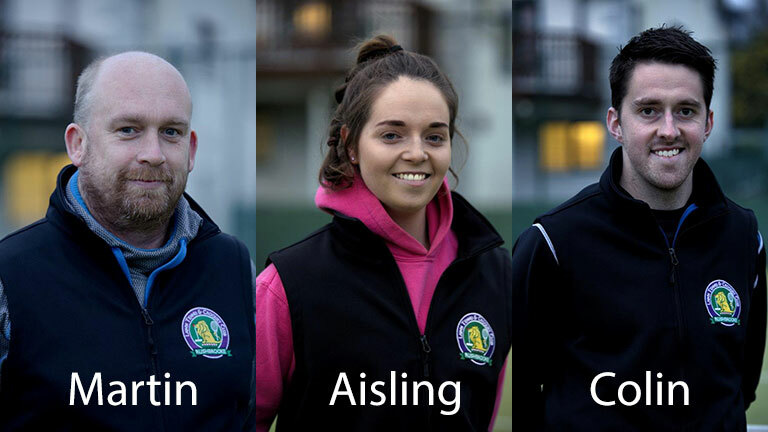 There are senior-junior nights, inter club friendlies and lots of fun competitions. There are team events, school’s tennis, and much more. The club provides a fun environment for juniors to make friends, play a sport and learn skills to last a lifetime! 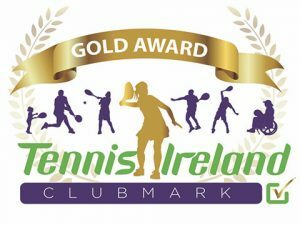 Each Sunday, the coaching team at Rushbrooke Lawn Tennis & Croquet Club run group fun tennis sessions for all children under the age of 12 years who are interested in learning the skills and techniques of tennis. 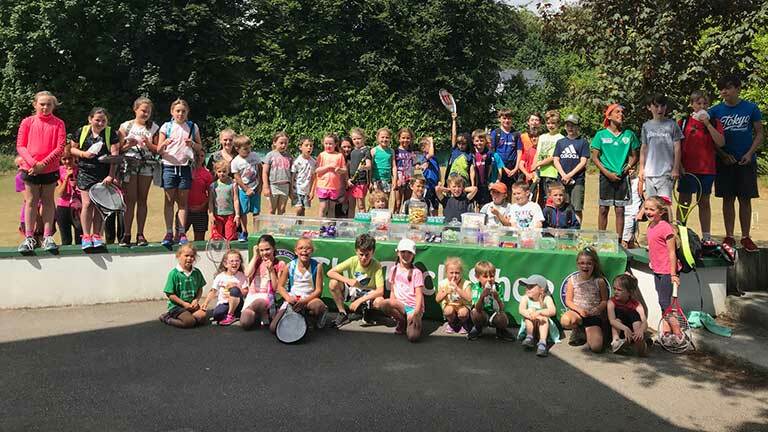 Sunday Fun Tennis is aimed at introducing the game to our youngest members in a safe environment where the emphasis is on participation and FUN. We look forward to seeing you next Sunday, every Sunday! The Sunday Morning Gentlemen’s Tennis Tournaments continue to feature on the tennis programme for men’s tennis at Rushbrooke. Notwithstanding peak holiday periods, inclement weather conditions, snow storms, blizzards etc., twenty-four players line out on court every Sunday morning, during which the Niemals Aufgeben trophy is played in a series over a period of ten weeks per series.